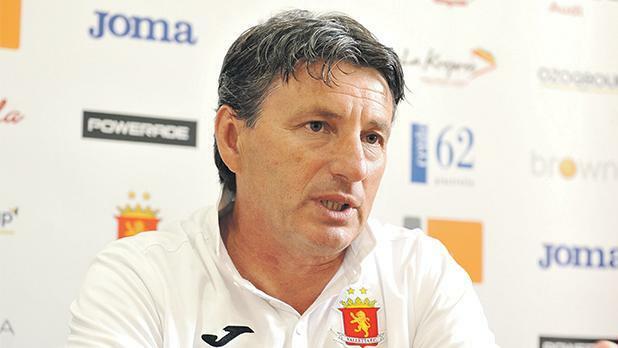 Zoran Popovic has stepped down as Valletta coach. Zoran Popovic has stepped down as coach of Valletta FC and is set to be replaced by his Serbian compatriot Danilo Doncic. The news of Popovic’s departure was rather unexpected as on Saturday he had led the Citizens to a hard-fought 1-0 win over Mosta that lifted the team to within just one point of Premier League leaders Balzan before the Christmas break. He is the eighth top-flight coach to leave his job this season. Popovic confirmed to timesofmalta.com that after protracted talks with the Valletta committee over a new contract the two parties failed to reach an agreement and the Serbian informed club president Victor Sciriha that he had decided to return to his country for family reasons. Popovic had taken charge of Valletta last May following the departure of Paul Zammit. During his short rein, the former Floriana coach has led the Citizens to the second qualifying round of the Europa League and have been among the protagonists of this season’s title race. Valletta have already found a replacement for Popovic as in the next 24 hours they are set to appoint Danilo Doncic as the new coach. The Serbian, who has been linked with the City job a number of times in the last few weeks, has agreed personal terms with the Citizens and is expected to put pen to paper on an 18-month contract. Doncic’s first game in charge as Valletta coach will be against Senglea Athletic on January 6.